A team of Michigan State University computer scientists led by Indian Institute of Technology (IIT) Kanpur alum Anil Jain have built the first three-dimensional model of a human fingerprint. This development will not only help today's fingerprint-matching technology do its job better, but could eventually lead to improvements in security, according to information posted on MSU website. What Jain, a University Distinguished Professor of computer science and engineering, and his team did was develop a method that takes a two-dimensional image of a fingerprint and maps it to a 3-D finger surface. The 3-D finger surface, complete with all the ridges and valleys that make up the human fingerprint, is made using a 3-D printer. It creates what Jain's team called a fingerprint "phantom." "In health care, a 3-D heart or kidney can be created," Jain said. "Because the dimensions are known, they can be put into a scanner and the imaging system can be calibrated." 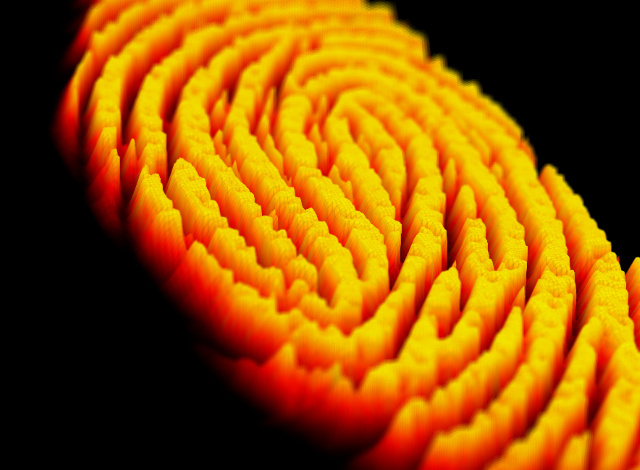 "When I have this 3-D fingerprint phantom, I know its precise measurements," said Jain. "And because I know the true dimensions of the fingerprint features on this phantom, I can better evaluate fingerprint readers." While the 3-D model doesn't yet have the exact texture or feel of a real finger, it could advance fingerprint sensing and matching technology. Jain, who has a B.Tech degree from IIT Kanpur and MS and PhD degrees from Ohio State University, has six US patents on fingerprint matching and has written a number of books on biometrics and fingerprint/facial recognition. Additionally, Jain has also received a number of prestigious awards for contributions to pattern recognition and biometrics.